Thomas R. North was born into a military family visited by tragedy when Tom was just six years old. His father was killed in the crash of an experimental jet aircraft, leaving Tom’s mother with seven children and one on the way. His mother, Helen North, moved from Washington state to California and married another military officer, who turned out to be ultra-violent and a child molester. After his mother remarried, Tom North grew up in Carmel, California, and his book captures the grandeur of coastal central California. Having spent his formative years in the forests of the Pacific Northwestern U.S., Tom was guided to seek solace and sanity in nature, and later, in Eastern Meditation. He became a successful financial advisor, writer, poet, and adventurer. He is married to Connie North and they have two daughters. 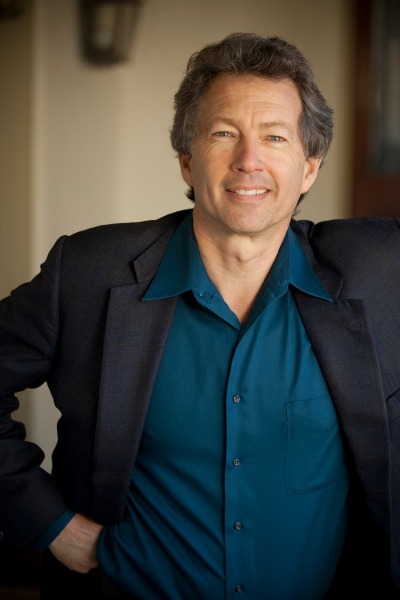 Tom has written extensively about scuba diving, jade hunting in the wilds of Big Sur, and spiritual topics as well. He is working on his second book, The Economics of Spiritual Transformation. 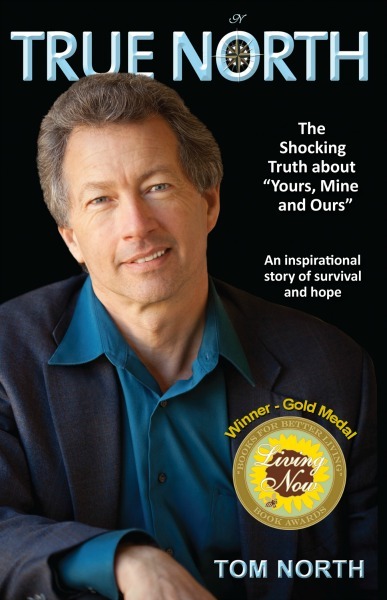 True North - The Shocking Truth about "Yours, Mine and Ours"
Tom North is one of the eight North children, who together with the ten Beardsley children, became the family which was featured in the 1968 film, “Yours, Mine and Ours” starring Lucille Ball and Henry Fonda. The book begins in the 1950s on Whidbey Island, Washington, where Tom’s mother, Helen North, became a widow when she was just 30 years old and pregnant with her eighth child. Tom was six years old, the fourth child in the North family. Not long after, Helen North met and married Frank Beardsley, a man with ten children, and she moved her family to his house in Carmel, California. The North children were adopted and their names were changed to Beardsley. But, it wasn't one big happy family as the movie depicted. The stepfather’s violence and abuse created a life of intimidation, confusion, turmoil, fear and depression for the North children. All hope seemed lost as Tom realized that he was caught in a prison and there was no way out. When he finally left home, he traveled on a journey of survival, self discovery, and healing. Years later, Tom miraculously led his family to counseling sessions where shocking truths were revealed. He then came full circle as he reclaimed his father’s name and was finally, True North.